휴, 베트남의 차밍 리버사이드 호텔 | 호스텔월드에서 예약하세요. The guest will be charged on credit card if they have cancel after 24 hours. 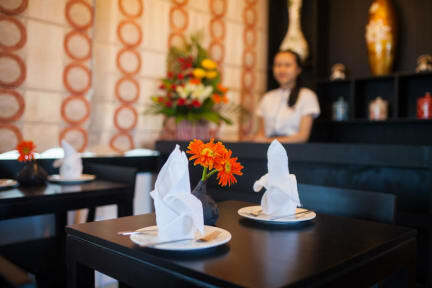 Charming Riverside Hotel is located in the city centre of Hue for one to experience the idyllic and quaint beauty of Hue. From the hotel, it is a 10-minute walk to the Imperial City, a UNESCO World Heritage Site, Perfume River, the lifeline of Hue, and Dong Ba Market, a symbol of Vietnamese culture. Our street has many cheap local restaurants and is only 5 minutes walk from the popular bars and restaurants on Chu Van An street or Phạm Ngu Lao street, by the poetic Huong Riverside. 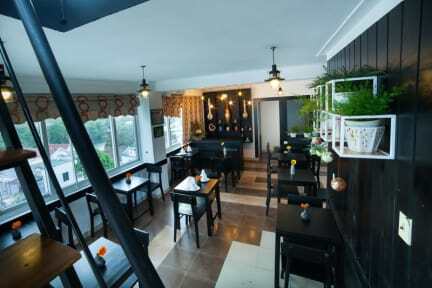 Charming Riverside Hotel seems to be peaceful destination for the guests to see picturesque view of the Perfume River. The well-decorated rooms come with satellite televisions, air conditioners, hot and cold showers, reading tables and desks, coffee machines, tea and coffee bags, flowers. If you arrive at Charming Riverside hotel before 2pm check-in and if your room is available, you may check-in early. - Free welcome drink . - Tour booking service .